The Imaging in 2020 meeting convenes biannually to discuss innovations in medical imaging. The 2018 meeting, titled “Visualizing the Future of Healthcare with MR Imaging,” sought to encourage discussions of the future goals of MRI research, feature important discoveries, and foster scientific discourse between scientists from a variety of fields of expertise. Here, we highlight presented research and resulting discussions of the meeting. Brooke A. Corbin and Alyssa C. Pollard contributed equally to this work. 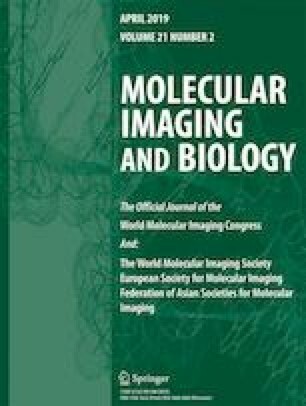 On behalf of the participants of the Imaging in 2020 meeting in 2018, we would like to thank Lisa Baird, Sylvia Anderson, and the staff of the World Molecular Imaging Society for participating in organizing and administering the meeting. The meeting would not have been possible without generous support from Bracco Imaging; Bruker BioSpin Corporation; Case Western Reserve University Department of Biomedical Engineering; Cubresa, Inc.; GE Healthcare; Magnetic Insight, Inc.; Northwestern University; Osaka University; Pharmacyclics LLC; Royal Philips; the University of Texas MD Anderson Cancer Center; and Wayne State University College of Liberal Arts and Sciences. The meeting was supported by NIH grant R13 CA232377-01. ACP is supported by NIH grant T32CA196561. MDP has a relationship with Bristol Myers Squibb, Inc.